Pending heavy taxation, real estate investors say they won't stop buying new apartments - but they won't be intent on selling them, either. In the wake of the approval of the government budget, which includes new taxation of those who own three or more apartments, real-estate investors have made it clear that they won't stop buying new apartments - but they won't be intent on selling them, either. "We will not stop buying new apartments," a real estate investor from the South emphasized in an interview with Arutz Sheva. 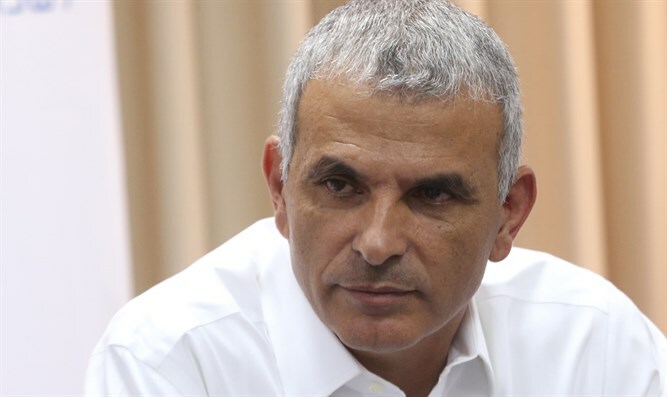 "[Minister of Finance] Kahlon passes the taxation in the Knesset - we find solutions. We won't sell the apartments, especially not when we're being required to pay an exorbitant appreciation tax. There is no sense in selling apartments according to the way Kahlon wants it to be." According to the investor, the tax does an injustice to investors of the Israeli middle class who want to marry off their children with honor. "It can't be that it's impossible in the State of Israel to profit from real estate. People worked from day to day to obtain an asset in the periphery with the help of the bank - and now Moshe Kahlon, in order to enrich the State purse, which currently finds itself in a deficit, is hitting investors on the head with a 5 kilogram hammer." L, a pensioner from Central Israel who owns more than three apartments, told Channel 2 that "I still haven't decided what to do. I didn't want to be a burden on my children, so I used my pension money to buy apartments," he said. "If I had put it in the bank, I wouldn't have gotten anything." L explained how he will try to avoid the new heavy taxation imposed by Kahlon. "The FInance Minister's decision won't prevent me from obtaining another apartment," he said. "There are many solutions [...] It's possible, for example, to give power of attorney to the kids, or to assign the apartment to their names.